Is It Legal For A Hospital To Turn People Away? 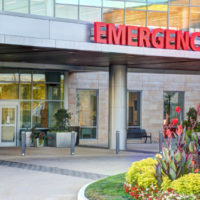 Most people are under the impression that if they go to the emergency room, hospital staff cannot refuse to treat them. Unfortunately, this is not exactly the case. Emergency room doctors are under a lot of stress to treat all the patients that arrive in a timely and effective manner. Some people require more and swifter attention than others, which is why ER staff try to reduce the number of patients by sending home those who appear to not need emergency treatment. In some instances, if the symptoms are urgent enough, the nurses or even doctors will examine the patient, but if they do not find anything wrong, they will send them home. Such was the case with one Florida woman.. The woman, 57, went to Calhoun Liberty Hospital in Blountstown, Florida, because of a pain in her abdomen and breathing problems. The ER staff checked her out and discharged her after finding nothing wrong. She would not leave, however, complaining that the pain was still bad. An ER employee called the police, who arrived, charged her with disorderly conduct, and escorted her out. Before they could even get her to the awaiting cruiser, she had collapsed. She was pronounced dead within the hour due to a blood clot in her lungs. The woman’s family retained legal help and filed a lawsuit against the hospital for negligence and medical malpractice, amongst other charges, which included battery claims and false imprisonment. The hospital was put under an intensive investigation, with authorities looking for signs of whether or not the incident was an isolated one or a systematic failure. If the policies and procedures in place at the hospital put patients at risk, the danger could extend far beyond the death of the woman. In the end, the woman’s family settled with the hospital for $200,000. The judge dismissed most of the family’s claims, especially those that had to do with false imprisonment and battery. According to a hospital representative, the woman’s clot—a pulmonary embolism—is often immediate and fatal. It is difficult to detect and nearly impossible to treat. This may be why the woman’s family ended up settling instead of following through with a jury trial. Though this woman’s case is an unfortunate one, there are laws in place that protect citizens from being unjustly turned away by emergency room staff. One such law is the Emergency Medical Treatment Active Labor Act (EMTALA). The EMTALA was enacted to prevent hospital staff from turning away patients because of their inability to pay, which is illegal. Individuals who live in the U.S. have a right to exam and treatment no matter what their socioeconomic status is, and hospitals are required to provide treatment and stabilize a patient if they have it within their means to do so. If they do not, they are required to transfer patients to a hospital that does. More often than not, emergency room staff know what they are doing when they send patients home. However, as the case above proves, that is not always the case. If you or a loved one was turned away by hospital staff and the result was a worsened condition or death, you may have a medical malpractice or negligence claim on your hands. The Miami medical malpractice lawyers at Spencer Morgan Law can evaluate your case for free and determine what rights you have in your particular situation. To schedule your free consultation, call our Miami law firm today.